The Andean cat was formerly placed in its own genus, Oreailurus, but genetic research has determined that it belongs in the Leopardus genus. Andean cats belong to the ocelot lineage and are closely related to colocolo, margay, ocelot, northern oncilla, southern oncilla, guiña, and Geoffroy’s cat. It is considered a small cat. 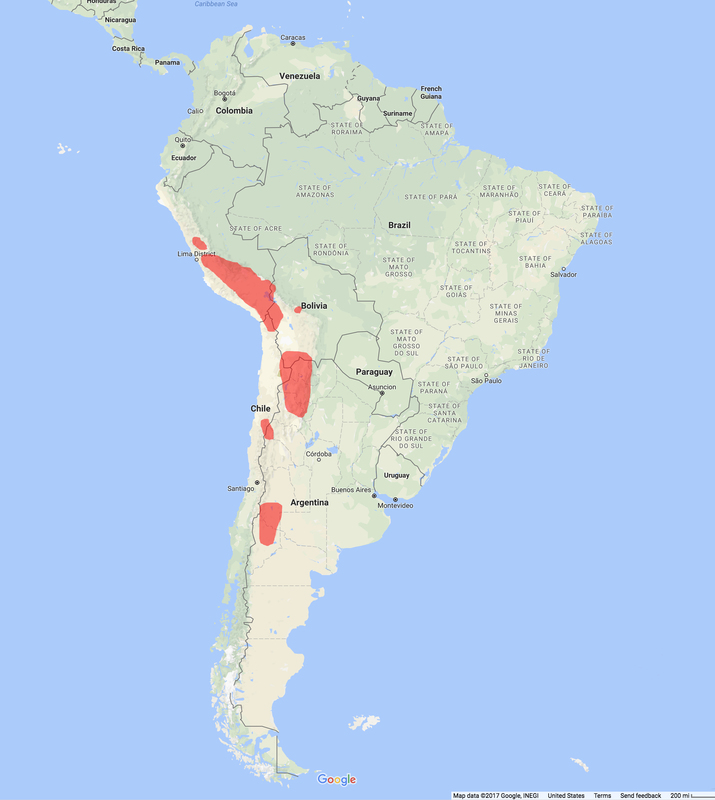 Andean Cat distribution map – created with google maps. The Andean cat is found in the Andes of South America. It’s range extends over the following countries: Peru, Bolivia, Chile, and Argentina. The Andean cat is similarly sized to a very large house cat. It’s gray, or silvery fur is spotted and striped with brown-reddish and black markings. It has a very long tail, the length of which is about sixty-five percent of its head to body length. The tail appears bushy and is marked with 5-10 distinct bands. Their legs are banded with 2-3 black bars and their face is lightly marked. It has a black nosed, which is the easiest way to tell it apart from the smaller Pampas Cat (pink nose), with which it shares its habitat. The species exhibits sexual dimorphism with males being slightly larger than females. The Andean Cat is a high-atitude specialist, being generally found above 3,000 meters, with one record as high as 5,100 meters. 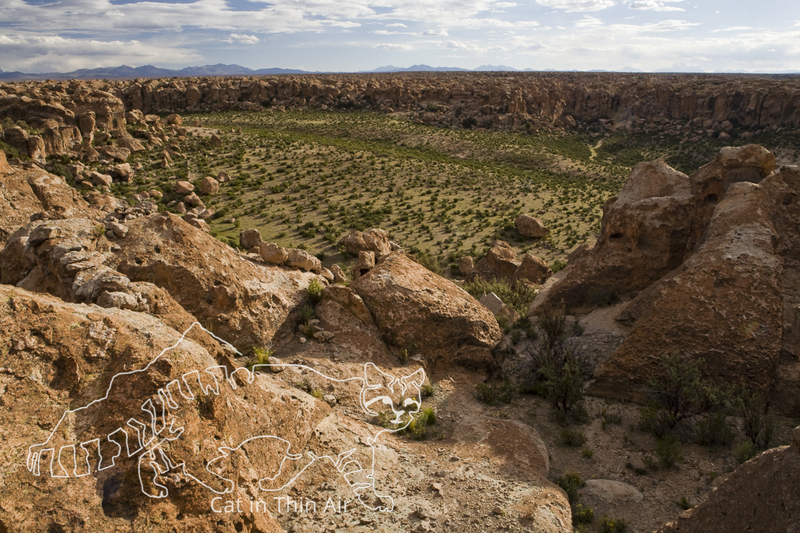 The habitat is generally always rocky, with sparse grasses and shrubs. There is one record of an Andean cat below the tree line, in the Patagonian steppe, at an elevation of 650 meters. The Andean cat is solitary, and only comes together with a conspecific for breeding. It is mostly active at night, with peaks in activity around sunrise and sunset (crepuscular), but can also be day active. In winter, with lower average temperatures, it will be more active during the day. Known resting sites consisted of small caves in rocky areas. 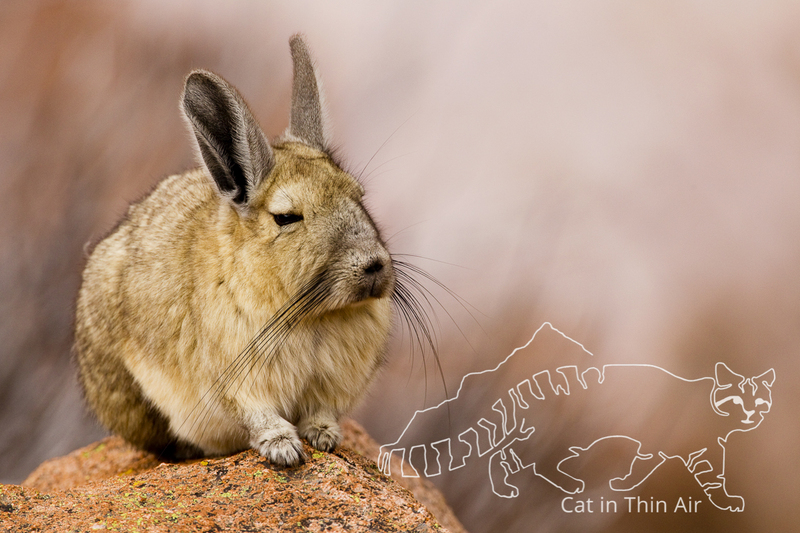 The Andean cat primarily feeds on viscachas, a rodent that looks similar to a rabbit. In the past, Andean cats probably heavily relied on Chinchillas as a food source, but since their eradication because of the fur trade, the cats have had to switch prey items. Besides viscachas, Andean cats will also prey on other rodents, like cavys and mice, and sometimes birds. They have been reported to scavenge from carcasses, and predation of domestic animals has rarely been documented. 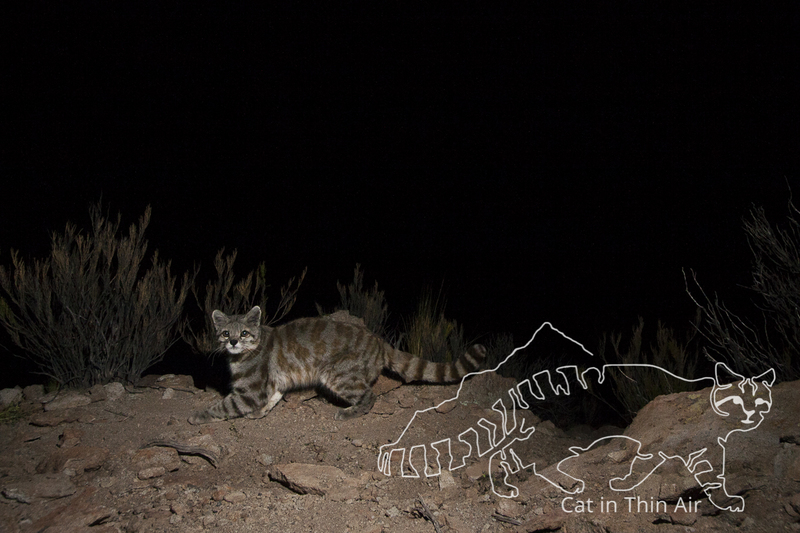 Most of the hunting by Andean Mountain Cats is done in rocky terrain at night, with peaks at sunrise and sunset. The actual act of predation, as in how it stalks its prey is unknown. 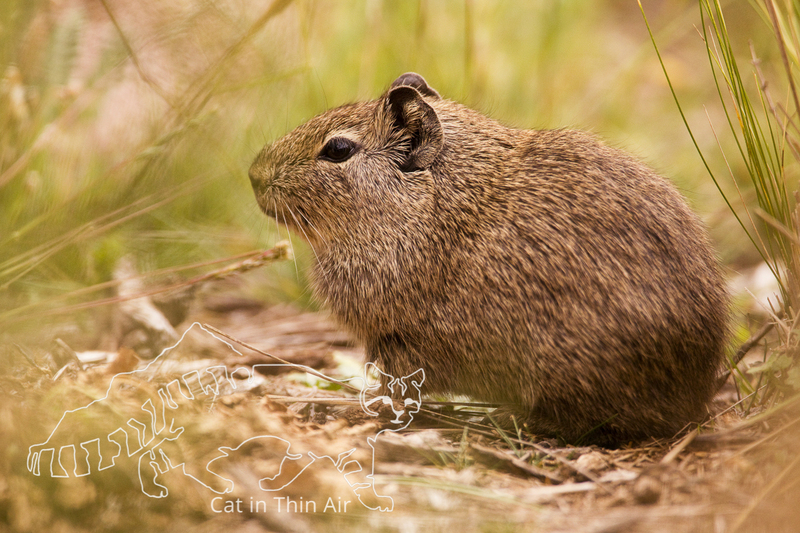 Due to the arid climate, which supports less prey, the home range size of the Andean cat is quite large. Only one home range size, of a female, was ever calculated, which was 65 km². Male territories are larger than female territories, and one male territory overlaps multiple female home ranges. When the young leave their natal home range is unknown. The Andean cat probably has a multitude of vocalizations including meows, growl, and hisses, but this too is fairly unknown. 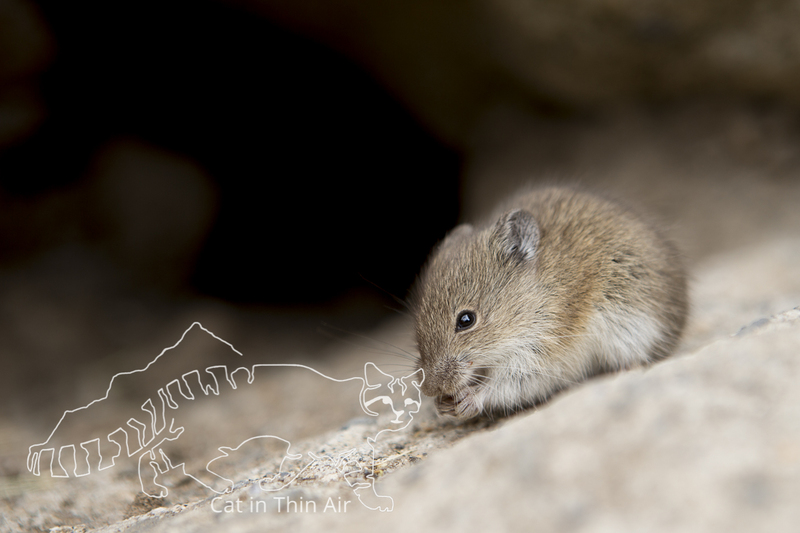 To communicate without direct contact, they will scent mark, deposit feces, and spray urine as part of territorial marking. Interestingly enough, unlike most other cats, Andean cats primarily defecate in latrines, using the same areas over and over again. 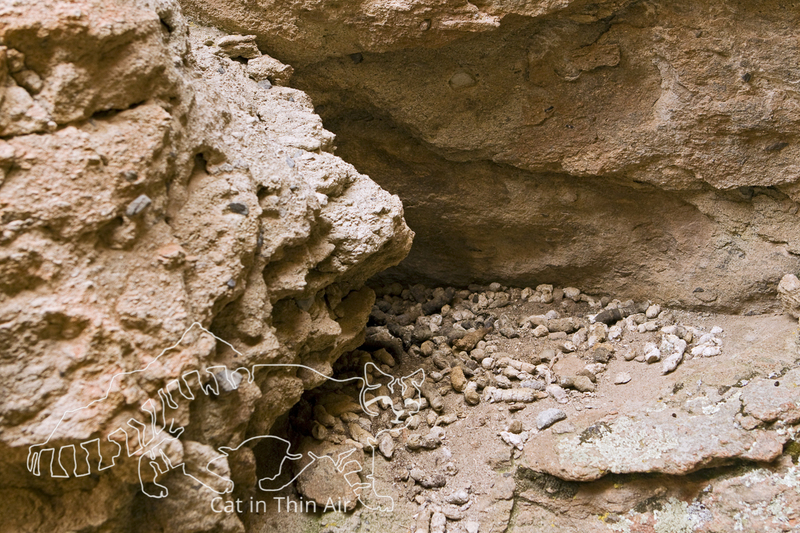 These latrines are often in dry places, like caves and small overhangs, which probably keeps the smell strong for the longest possible amount of time. Andean cats can pick up smells over larger distances through the vomeronasal organ. Gestation: Unknown, but approximated at 60 days. The species as a whole is very rare through much of its range. The IUCN classifies the Andean cat as endangered with less than 2,500 mature animals in the wild. The Andean Cat Alliance latest estimate is that there are 1,378 mature individuals combined, for all four countries. There numbers are also decreasing. Direct hunting and hunting of their prey are major threat to this feline. In some parts of their range, Andean cats are killed because they are believed to bring good luck for the fertility of domesticated livestock. Habitat destruction through mining and burning are also threats to the survival of the Arabian Caracal. Hunting of the Andean cat is prohibited in all four countries in which it lives. The Andean cat is categorized as Appendix I by CITES, which means they are considered to be threatened with extinction and are subsequently prohibited from the international trade in specimens of this subspecies. The Andean Cat Alliance, a group of biologists and conservationists are dedicating their lives to protect the species. You can learn more here. There are no Andean cats currently in captivity. For a few months in early 2017, there was a sub-adult male Andean cat that was found in a soccer field and brought to the Bolivian zoo for medical check-ups. He was released back into the wild because of the actions of the Andean Cat Alliance. Acosta G., Cossios D., Lucherini M. & Villalba, L. 2008. Leopardus jacobita. In IUCN 2012. IUCN Red List of Threatened Species. Version 2012.2. Accessed: 29. January 2013. 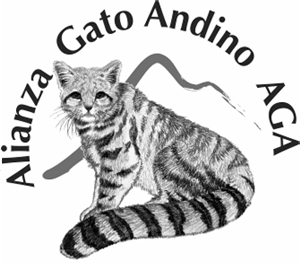 Andean Cat Alliance 2011. Strategic Plan for the Andean Cat Conservation. 2011-2016. La Paz, Bolivia. Cossíos D., Madrid A., Condori J. L. & Fajardo U. 2007. Update on the distribution of the Andean cat Oreailurus jacobita and the pampas cat Lynchailurus colocolo in Peru. Endangered Species Research 3, 313-20. Cossíos E. D., Walker R. S., Lucherini M., Ruiz-García M. & Angers B. 2012. Population structure and conservation of a high-altitude specialist: the Andean cat. Endangered Species Research 16, 283-294. Delgado E., Villalba L., Sanderson J., Napolitano C., Berna M. & Esquivel J. 2004. 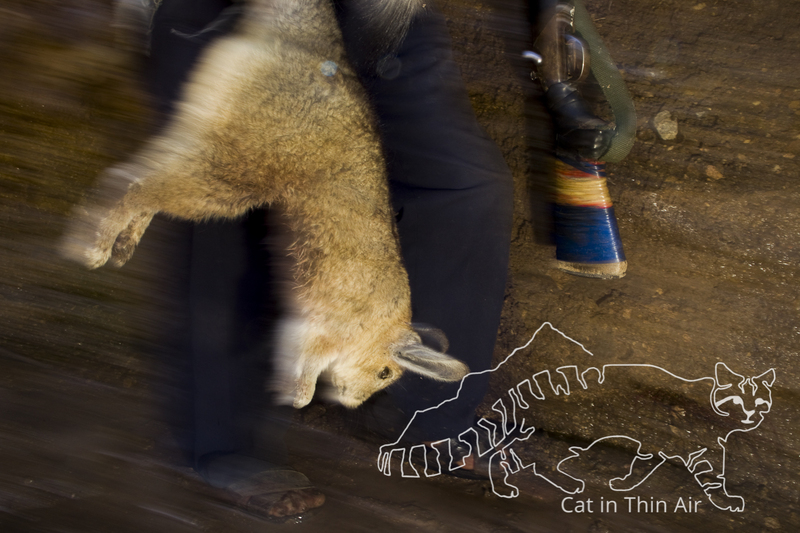 Capture of an Andean Cat in Bolivia. Cat News 40, 2. Di Martino S., Monteverde M., Novaro A. & Walker S. 2008. New Records of the Andean cat (Leopardus jacobita) in Neuquén Province, Patagonia, Argentinia Protected Areas and Wildlife Departments of the Province of Neuquén & WCS, 4. Garcia-Perea R. 1999. A morphological key to differentiate Andean cats, Oreailurus jacobita, from Pampas cat, Genus Lynchailurus, 12 p.
García-Perea R. 2002. Andean cat, Oreailurus jacobita: morphological description and comparison with other felines from the altiplano. J Mamm 83(1), 110-124. Gardner B., Reppucci, J., Lucherini M. & Royle, J. A. 2010. Spatially-explicit inference for open populations: estimating demographic parameters from camera-trap studies. Ecology (91)11, 3376-3383. Huaranca J. C., Pacheco L. F., Villalba M. L. & Torrez A. R. 2013. 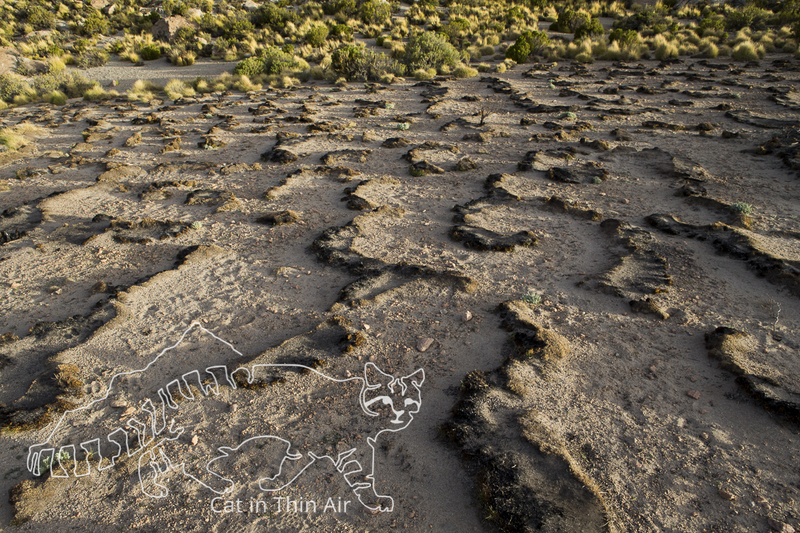 Ciudad de Piedra, and important site for the conservation of Andean cats in Bolivia. Cat News 58, 4-7. Hunter L., 2015. Wild cats of the world. Bloomsbury Publishing Plc. Johnson W. E., Culver M., Iriarte J. A., Eizirik E., Seymour K. L. and O’Brien S. 1998. Tracking the evolution of the elusive Andean Mountain cat (Orealilurus jacobita) from mitochondrial DNA 89(3), 227. Johnson W. E., Eizirik E., Pecon-Slattery J., Murphy W. J., Antunes A., Teeling E. and O’Brien S. J. 2006. The late Miocene radiation of modern Felidae: A genetic assessment. Science 311, 73-77. Kitchener A. C., Breitenmoser-Würsten Ch., Eizirik E., Gentry A., Werdelin L., Wilritng A., Yamaguchi N., Bramov A. V., Christiansen P., DriscollC., Duckworth J. W., Johnson W., Luo S.- J., Meijaard E., O’Donoghue P., Sanderson J., Seymour K., Bruford M., Groves C., Hoffmann M., Nowell K., Timmons Z. & Tobe S. 2017. A revised taxonomy of the Felidae. The final report of the Cat Classificaiton Task Force of the IUCN Cat Specialist Group. Cat News Special Issue 11, 80 pp. Kuhn H .J. 1973. Zur Kenntnis der Andenkatze, Felis (Oreailurus) jacobita Cornalia, 1865. [On knowledge of the Andean cat]. Säugetierk. Mitt. 21(4), 359-364. Lucherini M. & Luengos Vidal E. 2003. Intraguild competition as a potential factor affecting the conservation of two endangered cats in Argentina. Endangered Species Updates 2, 211-220. Lucherini M. & Merino M. J. 2006. Planning a common educational strategy for Andean cat conservation. Oryx 40, 137-138. Lucherini M. & Merino M. J. 2008. Perceptions of Human-Carnivore Conflicts in the High Andes of Argentina. Mountain Research and Development 28(1), 81-5. Lucherini M., Reppucci J. I., Walker R. S., Villalba M. L., Wurstten A., Gallardo G., Iriarte A., Villalobos R. & Perovic P. 2009. Activity pattern segregation of carnivores in the High Andes. Journal of Mammalogy 90, 1404-1409. Lucherini M., Palacios R., Villalba L. & Iverson E. 2012. A new Strategic Plan for the conservation of the Andean cat. Oryx 46, 16-17. Marino J., Lucherini M., Villalba M. L., Bennett M., Cossios D., Iriarte A., Perovic P. G. & C. Sillero-Zubiri. 2010. Highland cats: ecology and conservation of the rare and elusive Andean cat. Pp. 581-596. In Biology and Conservation of Wild Felids. Macdonald D.W. & Loveridge A. J. (Eds). Oxford University Press, UK. Marino J., Bennett M., Cossíos D., Iriarte A., Lucherini M., Pliscoff P., Sillero-Zubiri C., Villalba L. & S. Walker. 2011. 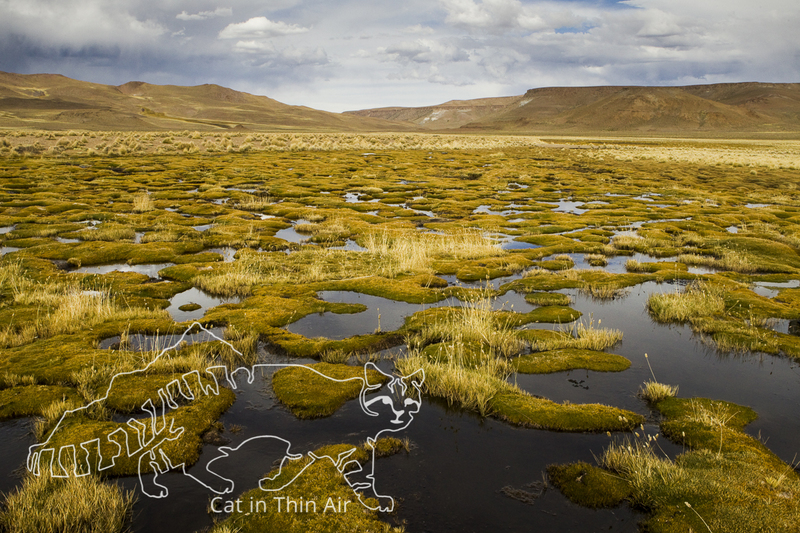 Bioclimatic constraints to Andean cat distribution: a modelling application for rare species. Diversity and Distributions, 17, 311-322. Merino M. J. 2006. Conservemos al gato andino y su hábitat; Guía para Educadores. Alianza gato Andino, Bahía Blanca, Argentina. Napolitano C., Bennet M., Warren E. J., O’Brien S. J., Marquet P. A., Barría I., Poulin E., & Iriarte A. 2008. Ecological and biogeographical inferences on two sympatric and enigmatic Andean cat species using genetic identification of faecal samples. Molecular Ecology 17, 678-690. Melquist W. E. 1984. Status survey of otters (Lutrinae) and spotted cats (Felidae) in Latin America. Unpubl. report, Univ. of Idaho (Moscow) and IUCN (Gland, Switzerland). Novaro A .J., Walker S. Palacios R., Di Martino S., Monteverde M., Cañadell S., Rivas, L. & Cossíos, D. 2010. Endangered Andean cat distribution beyond the Andes in Patagonia. Cat News 53, 8-10. Nowell K. & Jackson P. 1996. Wild Cats. Status Survey and Conservation Action Plan. IUCN/ SSC Cat Specialist Group. IUCN, Gland, Switzerland, 116-118 pp. Perovic, P., Walker, S. & Novaro, A. 2003. New records of the Andean Mountain cat in northern Argentina. Oryx, 37, 374-377. Reppucci J., Gardner B. & M. Lucherini. 2011. Estimating detection and density of the Andean cat in the high Andes. Journal of Mammalogy, 92(1), 140-147. Reppucci J., Tellaeche C., Luengos Vidal E. & Lucherini M. 2013. 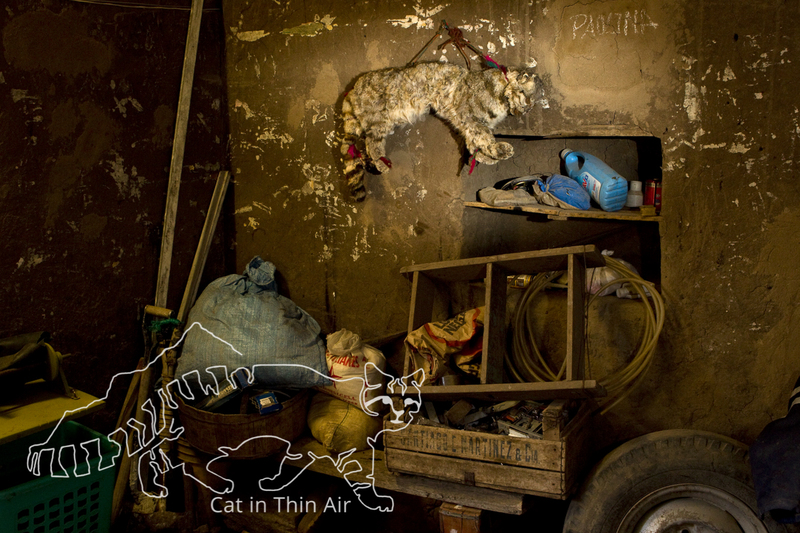 Cats captured in the Argentinean High Andes close a door for potential monitoring programs. Cat News 58, 7- 8. Sorli L., Martinez F., Lardelli U. & Brandi S. 2006. 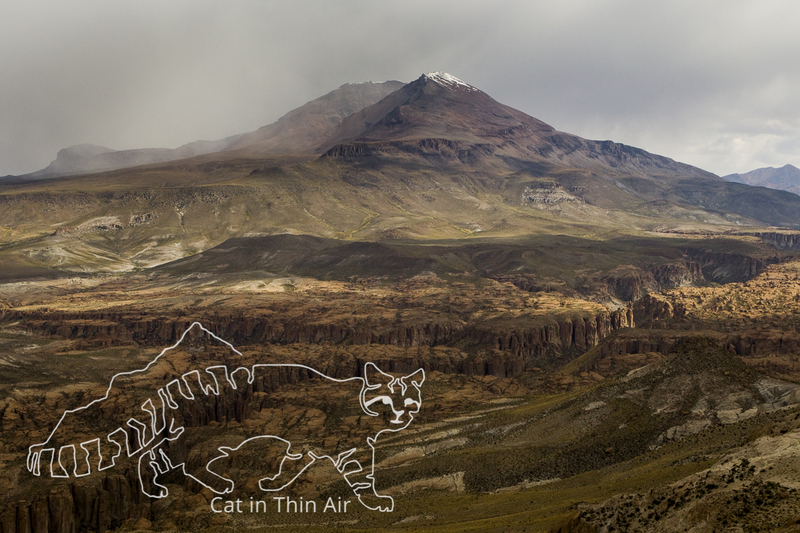 Andean cat in Mendoza, Argentina – Furthest south and lowest elevation ever recorded. Cat News, Spring 2006. Tellaeche C., Reppucci J. Luengos E., Ortiz P. & Lucherini M. 2012. Poster Presentado en la XXIII Jornadas de Mastozoologia, Sociedad Argentina para el Estudio de los Mamiferos (S.A.R.E.M. ), Bahía Blanca, Argentina, 9-12 Noviembre 2010. Villalba L., Lucherini M., Walker S., Cossíos D., Iriarte A., Sanderson J., Gallardo G., Alfaro F, Napolitano C. & Sillero-Zubiri C. 2004. 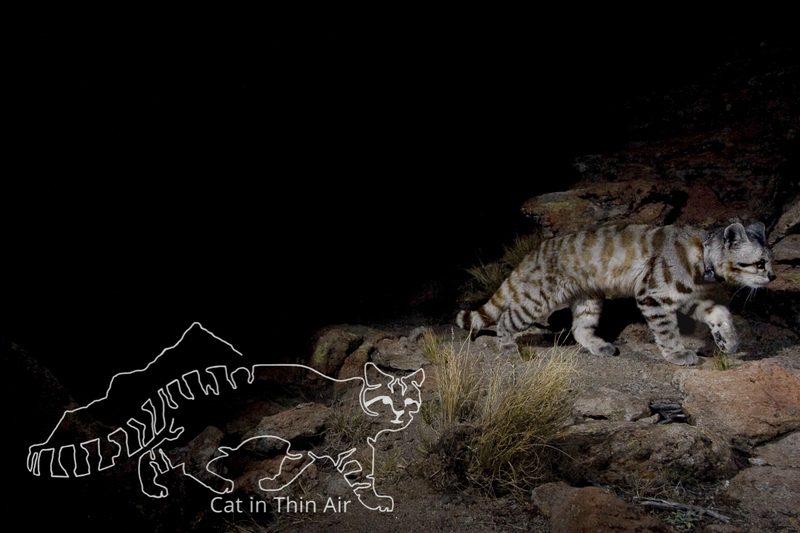 The Andean cat: Conservation action plan. La Paz, Bolivia: Andean Cat Alliance, 69. Villalba M. L, Delgado E. & Berna T. 2009b. Activity patterns and home range of an Andean Cat and pampas cat in southern Bolivia. 2009. Poster Session. 10th. International Mammalogical Congress. Mendoza, Argentina 9-14, Agosto 2009. Villalba L. Bernal N. Nowell K. & Macdonald D.W. 2012. Distribution of two Andean small cats (Leopardus jacobita and Leopardus colocolo) in Bolivia and the potential impacts of traditional beliefs on their conservation. Endangered Species Research. 16, 85-94. Villalba L., Lucherini M., Walker S., Lagos N., Cossios D., Bennett M. & Huaranca J. 2016. Leopardus jacobita. The IUCN Red List of Threatened Species 2016. Walker R. S., Novaro A. J., Perovic P., Palacios R., Donadio E., Lucherini M., Pia M. & Soledad Lopez M. 2007. Diets of three species of Andean carnivores in high-altitude deserts of Argentina. J Mamm 88(2), 519-25. Walker S., Funes M., Heidel L., Palacios R. & Novaro A. 2013. 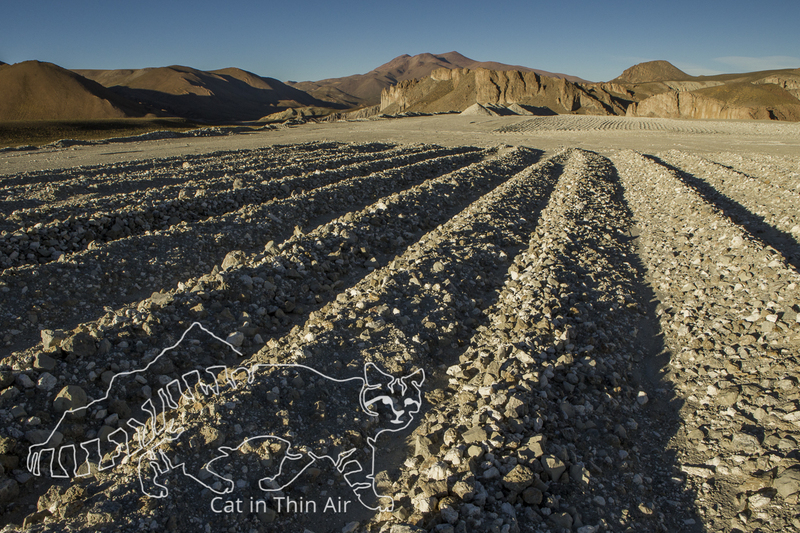 The endangered Andean cat and fracking in Patagonia. Oryx 46(1), 16-17. 44. Yensen E.& Seymour K.L. 2000. Oreailurus jacobita. Mammalian Species, 1-6.